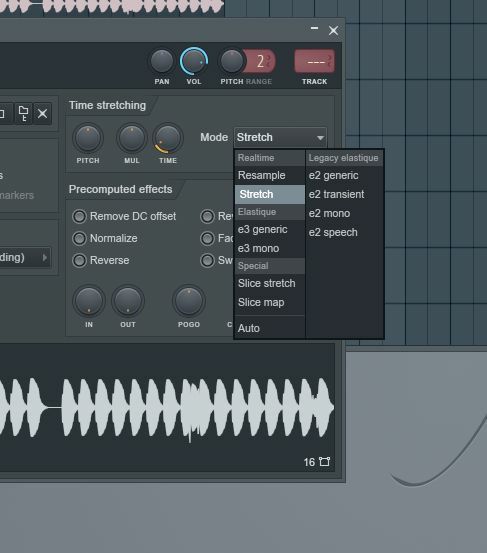 One of the best new features in FL Studio 12.3 is realtime audio stretching. 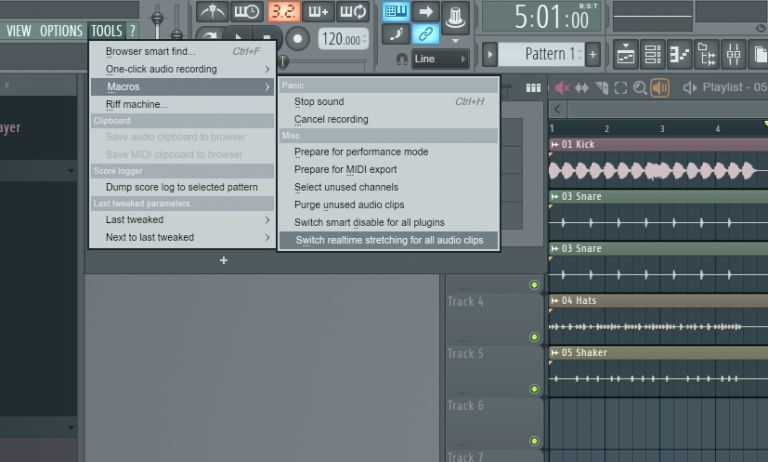 This allows you to take your audio in your project and apply the realtime algorithm to get the audio to sync to any tempo without artifacts while in playback mode. 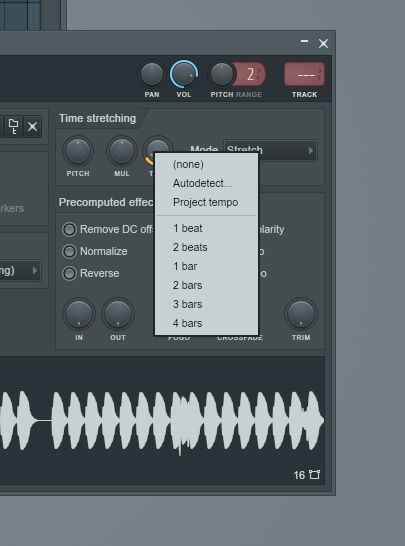 Realtime audio stretching is super handy if you remix audio tracks, or even if you like to tweak your tempos as you go. 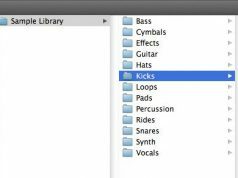 This feature will allow you to do this without hampering your production workflow. Let’s see how it works! First, let’s look at the previous timestretching method, using the resampling stretching algorithm. 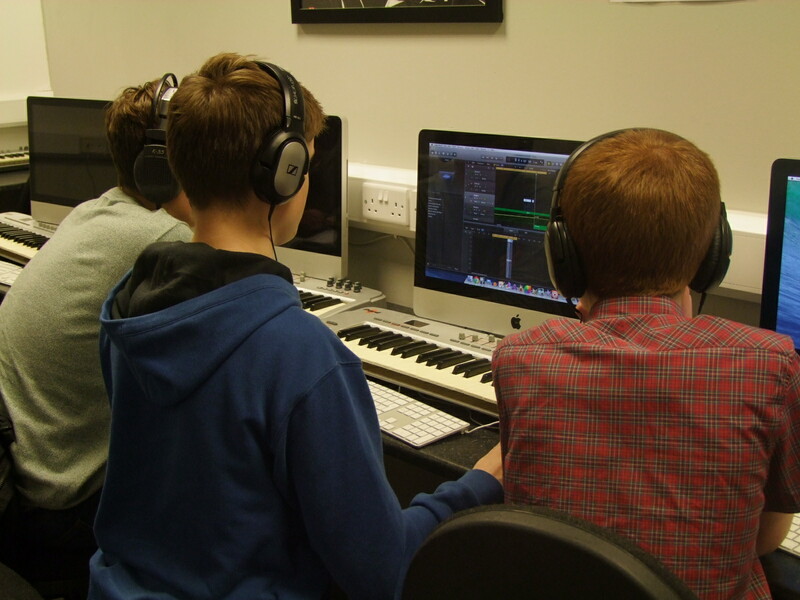 For our example, imagine a project in a specific tempo, let’s say 120 BPM. Now if you wanted to decrease this to 110 BPM, your associated MIDI tracks would adapt to match the new tempo, but your audio tracks would be out of sync to the new tempo. Now what? You could choose each audio clip, assign the Resampling timestretch mode and stretch out your audio to match the project tempo. The downside of this method was that if you compressed the audio, it would pitch it up, and if you stretched it out, it would be pitched down. Or you could use the Stretch mode on the audio clip properties. 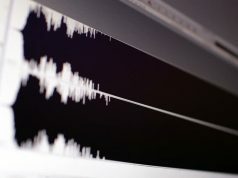 By editing the Elastique parameter, the duration of the clip would change without affecting its pitch, but it would take a few seconds to adjust the timing before the new adjusted sound played in. 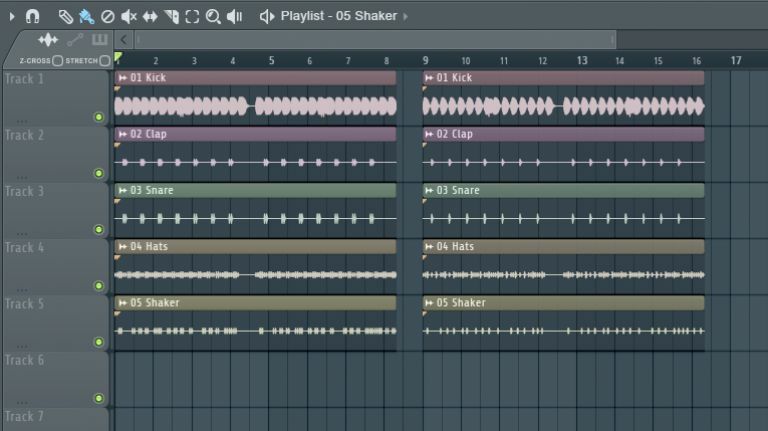 Now with the new FL Studio 12.3 feature, the timestretching can be done in realtime, plus without any pitch alterations. Now, let’s look at the new feature and its methodology. So the same setup: the project is at 120 BPM. Just a quick side note, when you apply this new feature, it cannot be undone so maybe backup a copy of your project before attempting this. A dialog box will come up warning you that this is a destructive method. Now go to the Macros menu, and in here you’ll now see ‘Switch realtime stretching for all audio clips’. With this enabled, all the audio is locked in with the project tempo. If I increase the tempo to 130, watch how the audio clips adapt to match the timing. Plus when you play back, you’ll hear how they are not re-pitched like the resampling technique. Impressively minimal artifacts are introduced into the sound—quite amazing. Now you can see how handy this is. You can quickly test out different tempos for your song without affecting where the audio clips reside in the project. Imagine if you want to remix a track. You can take that classic ’80s tune that’s in 100 BPM and realtime stretch it to 140 BPM for your Drum ‘n Bass remix for example. What you can also do if you don’t select this Macro option is you can apply the realtime stretching to individual clips. Just double-click the clip to bring up its properties box. Then under mode choose Realtime. This will stretch and compress your audio clip without it re-pitching it. You can use the Time dial to stretch your audio. Notice too if you right-click on this dial you have some interval lengths you can choose, like 1 beat, 1 bar. Or you can even autodetect or set to the project tempo. That’s pretty neat if you only want to apply the real-time stretching to individual clips, not all the audio in the project. At the moment you can’t automate the Time dial, but it would be awesome in the future if you could. Then you can stretch out an audio clip whilst in playback. Let’s see if that maybe gets implemented in the future. But for now, realtime audio stretching is an amazing feature that can really improve your production workflow. 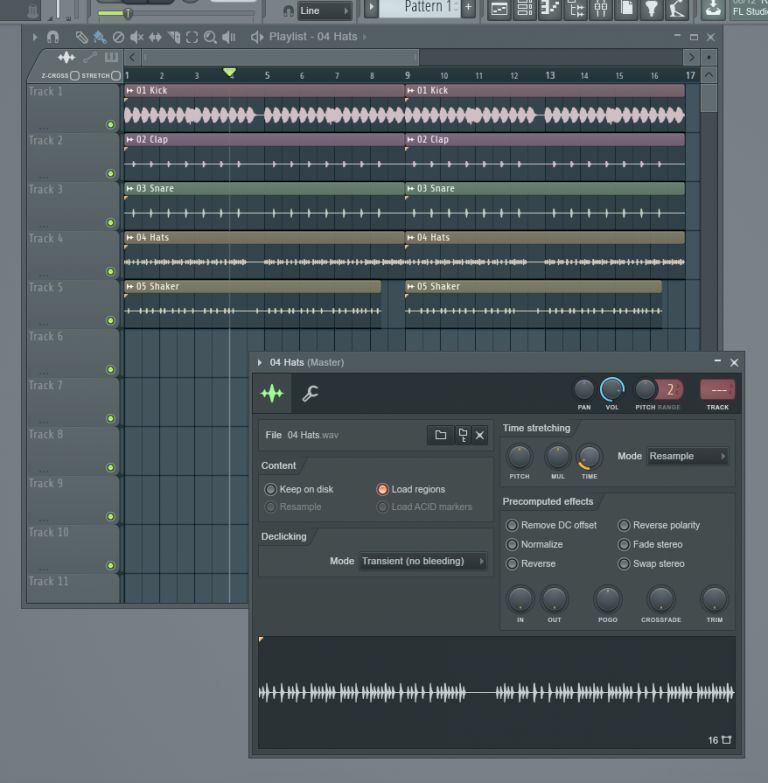 That’s how to use the new realtime stretching feature in FL Studio on your whole project or individual clips. Just remember that the Macro option is destructive and you can’t undo this. 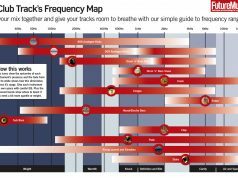 Jump in and take a look at this feature and how it can get your audio clips in sync with your project.